The Halloween season is my very favorite reading season. If I had my way, I would just settle in for a month or two of spooky, atmospheric reads. If you haven't settled on a Halloween read yet, we've got five great options for you here. 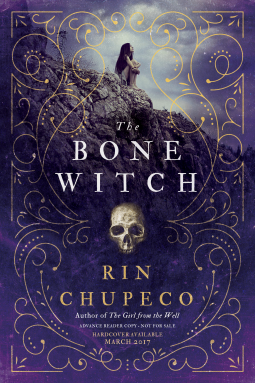 Rin Chupeco's The Bone Witch is gorgeously written and so interesting. Tea is a bone witch, meaning she can raise beings from the dead. Powerful and feared, Tea must leave home to train with a more experienced necromancer. This first book in the series mostly chronicles Tea's training. However, the book is set up as a story within a story, and so the reader gets glimpses of a more powerful Tea recounting her tale, which definitely piqued my interest. The Bone Witch reminded me more than anything of Miriam Foster's City of a Thousand Dolls. It has a similar geisha-like training aspect to it. The setting is truly rich and lavish. I'm definitely curious about the sequel. Review copy from NetGalley. At River's new high school the three most mysterious, most popular students are the Grace siblings, Summer, who is River's age and her older siblings, twins Fenrin and Thalia. Everyone says the Graces are witches, and River, wants nothing more than to be taken into their circle. 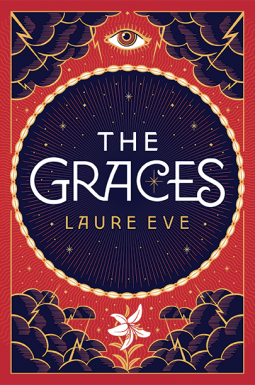 The Graces by Laure Eve has a very mysterious air to it. River is an incredibly unreliable narrator, and there's this sense throughout that she is leaving out something big, but what is it? And is there really magic or not? River's interest in the Graces is a full-on obsession, and as the pieces fall into place, the reader starts to understand why. This book is an excellent Halloween pick. Review copy from NetGalley. 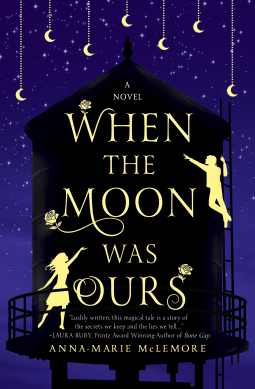 When the Moon was Ours by Anne-Marie McLemore is the unique story of a girl, Miel, born of water and with roses sprouting out of her wrists, and Sam, known to the town as Moon because of the beautiful moon creations he hangs on trees. Miel and Sam are inseparable and have been friends for sometime. As strange as the pair are they aren't nearly as strange as the Bonner sisters who the town whispers are witches. The Bonner girls have a fascination with Miel's roses and believe in their magical abilities. They'd do whatever it takes to get them from Miel. The story was third point omniscient which made the story very different than anything I have ever read before. The details in the story were lovely and it was a short pleasant read. Review copy from NetGalley. Maire is a baker who can endow her treats with magical qualities. She has no memories before the day she came to live with in her small village. Things go horribly wrong when marauders attack the town and sell Maire into slavery. Her captor forces her to bake cakes for witches' homes and gingerbread boys. All the while, a mysterious, ghostly being, Fyel visits Maire. He's trying to help her, but he can't touch her or tell her anything outright. Who is Maire? Is she a witch or an angel? Charlie N. Holmberg tells the most creative and strange stories. 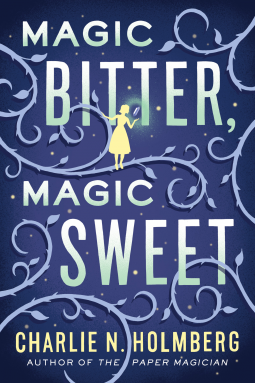 Magic Bitter, Magic Sweet has really stuck with me, and I don't think I will ever forget this bizarre and beautiful tale. Review copy from NetGalley. 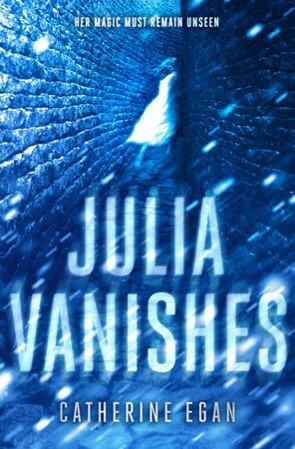 Julia Vanishes reviewed by Paige. The Bone Witch, The Graces, and Magic Bitter, Magic Sweet reviewed by JoLee. When the Moon was Ours reviewed by Sarah. Seems like you have changed the genre of the books and in my opinion it is good for you. I am also thinking of getting one of these books to read that in my spare time.